Whatever you’re going to do in life, approach it as a professional. A professional has more than a cursory grasp of the details of his profession. A professional has taken the time to learn the precise language associated with the skilled practice of his profession. A professional airline pilot like me dang sure needs more than a basic grasp of his job. A professional lawyer like Brodie Butland could land an ill-served client in a world of pain if he’s less than fully competent in his profession. Heaven help the cardiac arrest patient who finds himself in the care of an ER Doc who fails to highly value the skills, knowledge, and precise language Dr. Jonathon Sullivan mastered so many, many decades ago. Yet it is somehow beyond reasonable to expect something approaching this same level of professionalism inside the strength and conditioning world. Why? 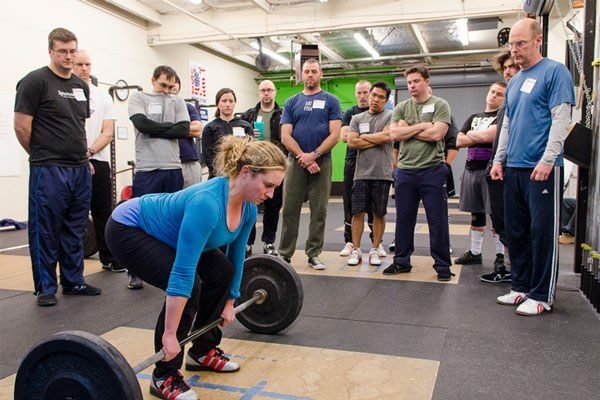 Do fitness professionals deserve a pass? Is their work so trivial compared to that of the doctor, the lawyer, and the pilot, that it doesn't really matter how competent they are? Quite the contrary. We know that the day-to-day work of a professional strength coach carries massive importance, with the potential to impact lives in a profound manner. But because the industry has failed, quite miserably, to produce a majority, or even a recognized minority of coaches that meet a standard of professionalism, the burden of familiarizing oneself with the skills, the language, and all the nuances of the profession has fallen partially in the lap of the consumer – the trainee. So we have an environment in which those who are responsible for correct instruction are too often lacking even a rudimentary understanding of their craft. This leaves the trainees to figure it out on their own, which in turn makes precise descriptions of the movements and their mechanical basis absolutely essential. 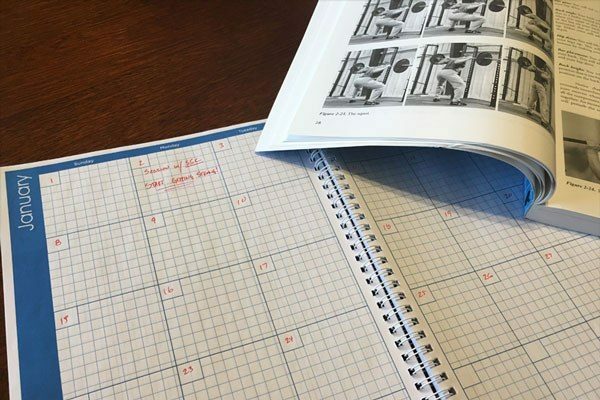 In our Twitter-driven, TL;DR, video-or-it-didn’t-happen culture with accompanying derisive references to “that wall of text,” it’s not surprising that the act of sitting down with a pot of coffee and reading until you master something new – like an in-depth discussion of moment forces and how they apply to a squat, how muscles that can only shorten by approximately 1/4 to 1/3 their total length can propel Usain Bolt to over 27 miles per hour; what “proximal,” “distal,” “origin,” “insertion,” “medial,” “lateral,” “superior,” and “inferior” mean; or why pushing your knees out solves so many problems with your squat – is no longer a reasonable expectation. As evidenced by recent article from a respected certifying organization, using precise terms and detailed descriptions – by coaches in this case – can help you avoid making a fool of yourself. For example, knowing the difference between “power” and “strength” would be an excellent place to start before you express an opinion on training. Often confused is the basic fact that power is a derivative of strength – it is, by equational definition, strength expressed quickly. 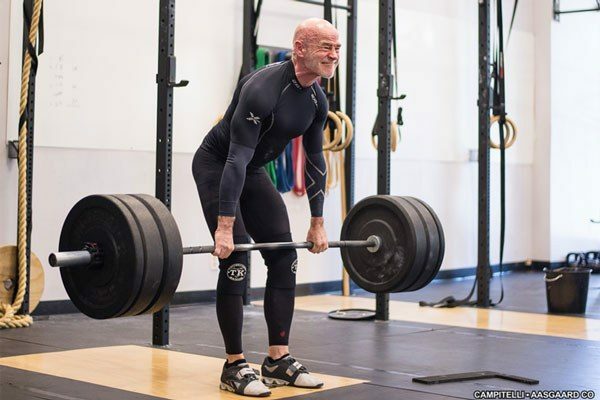 Trying to train a weak athlete or a weak senior citizen for power when he utterly lacks strength is inefficient – and that’s being charitable. Equally often goofed up is the concept of “work capacity.” While this term gets thrown around a good deal as a bit of a Utopia of fitness goals, getting those same enthusiasts to define exactly what they mean by it is a trickier proposition. No matter the chosen definition, what is universally missed is the brute fact that, in order to do a task many times in a given period of time, one must first be strong enough to do it once. Strength underpins work capacity. Of even more subtle importance is this concept: when I progressed through a 225lb squat on my Novice Linear Progression, what was my “work capacity” with 225? If you said “5 reps,” go to the head of the class. Fast forward to the end of my Advanced Novice stretching of LP at 340x5: at that point, what had happened to my “work capacity” with 225lb? Again, if you said “it’s a lot more” grab a cookie, but not from Spencer Irvin. 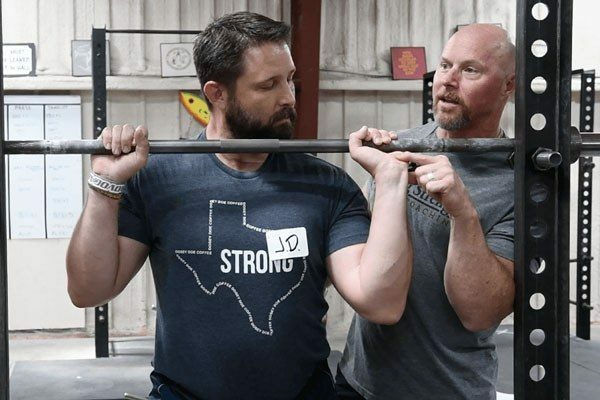 You see, understanding why strength is the foundational quality, and what its relationship is to the other 9 of Mr. Cawley’s 10 aspects of fitness can be broadly clarifying. 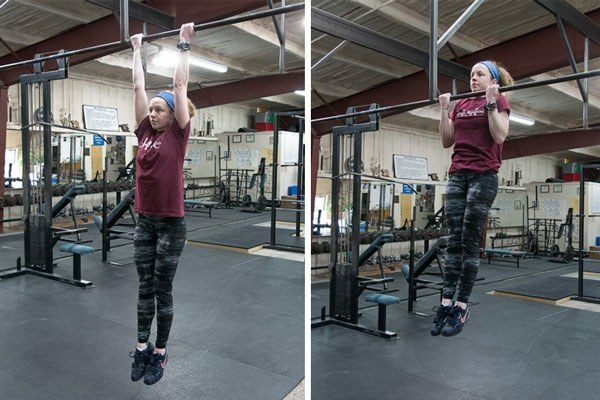 Because you have read and understood the precise language of the subject matter, you will no longer believe it’s a good idea to focus on “agility” when your athlete lacks a bodyweight squat. You will understand that no amount of finely-honed neuromuscular coordination can “make up” for lacking the strength to move decisively from one direction of movement to another – agility. Heck, you might even be able to save an earnest youngster or two who say they want to get strong but are waving 20lb dumbbells around because they both read “Ten Best Moves For Arm Definition” in Men’s Health that month. And wouldn’t you rather be able to offer something other than another voice in the chorus of people spewing BS at these poor kids? if one makes a second pot of coffee and dives into a detailed description of Hans Selye’s General Adaptation Syndrome, aka “Stress/Recovery/Adaptation” presented in Practical Programming for Strength Training 2nd edition. 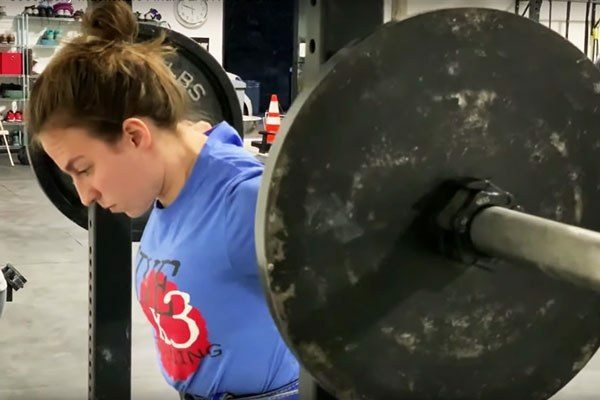 Toss in the definitions of Novice, Intermediate, and Advanced lifters as they relate to SRA, and you have a powerful yardstick for detecting silliness. So much nonsense is believed simply because wide swathes of the industry refuse to grasp that, in the utterly untrained individual, everything works – even a Shake Weight – for a little while. Meanwhile, people with no strength base to speak of consult impenetrable tables of percentages of 1RM and convoluted periodization schemes, blissfully unaware that they have been designed to put 7 more kilos on the deadlift of a Russian National Team member. He’s bumping up against the absolute ceiling of his genetic potential. You... are not. The troublesome precision and exhaustive detail of SS:BBT3 and PPST3 will build a layman up to a respectable level of understanding. The mildly-annoyed reviewers miss the point that it is exactly the beginner who most needs to educate himself in such depth. When undertaking any endeavor more complex than what you’re currently doing – in other words, bettering yourself by learning new skills with new knowledge – whether that’s studying law, engineering, geology, medicine, or flying cool jets like me, understanding the precise language and the precise methodologies used therein is a foundational requirement for success. There are precise biomechanical and physiological terms to be used in your weight training. If you take the time to master them, you’ll know why you do things the way you do. 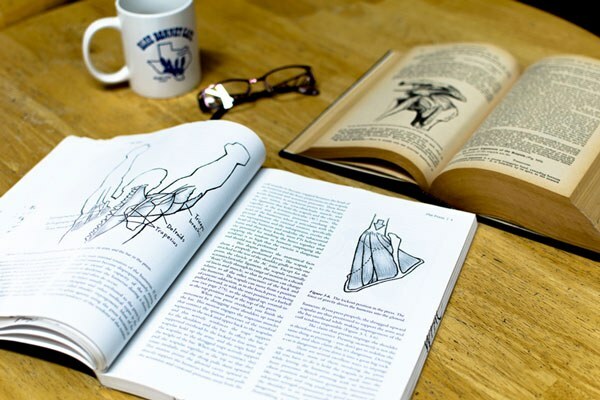 You will find a surprising applicability in other areas for the anatomical terminology you’ve learned. The knowledge you gain from digging in to understand some unfamiliar concepts will powerfully inoculate you against a plethora of charlatans and shysters beclowning the fitness landscape. Bill Hannon SSC contributed greatly to this piece.